A court in Thailand on Monday approved a government request to drop the extradition case against a soccer player who was forward sent back to his native Bahrain, where he said he was likely to be a prisoner and tortured. The transfer has brought way to the player, Hakeem al-Araibi, to return to Australia, where he has a refugee status. Mr. Al-Araibi, 25, who became the star defender for the national soccer team in Bahrain, fled to a small Gulf country in 2011 during a crackdown on the Arab Spring protesters. He said he was tortured by government security forces. He plays soccer for a minor team in Melbourne, Australia. 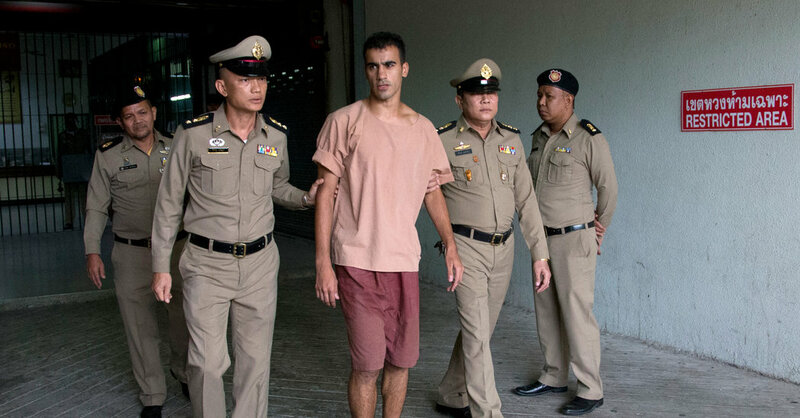 After his arrest in November at a Bangkok airport, where he and his wife traveled for their honeymoon, he became the focus of the lobbying of diplomats, well-known sports figures and a social media campaign under hashtag #savehakeem. A lawyer for Mr al-Araibi said he hopes to release him from custody later Monday night and fly back to Australia once his departure has been approved. "This is the best outcome," said lawyer, Natalie Bergman. "It should have happened from the beginning, but later was better than nothing."